The astrogeographical position of Ottawa and transits of the outer planets in relation to the government of Canada. Political astrology & history. Astrogeographical position of Ottawa for morphogenetic field level 1 which describes the supraregional and international resonance of the Canadian capital its government and politics: the canadian capital is located in a harmonious angle in the 2 water signs: at 20°Pisces and 21°Cancer. Such a harmonious aspect is absolutely rare for capitals which often deal with astrogeographical positions that reflect the diversity, conflicts and tension between various parts of a nation or its territories. But this is apperently not so in Canada. The trinal combination of the positions in the two water signs Pisces and Cancer are known to support and stimulate each other well. The Canadian Confederation was the process by which the British colonies of Canada, Nova Scotia, and New Brunswick were united into one Dominion of Canada on July 1, 1867. The natal chart for Canada shows really strong planetary positions in the signs of Cancer and Pisces but not exactly on the astrogeographical coordinates of Ottawa. Saturn was at 18°Scorpio fullfilling a grand water trine together with the 20°Pisces and 21°Cancer astrogeographical coordinates of the capital: The stability of the political system of Canada seems to lie in this water harmony of emotional authenticity and independence (Cancer) with the readiness and capacity for self-defense (Scorpio) as rooted in indigenous north american nomad culture (Scorpio) and the reconnection with a larger and fuller aspects of spirituality and imagination (Pisces). 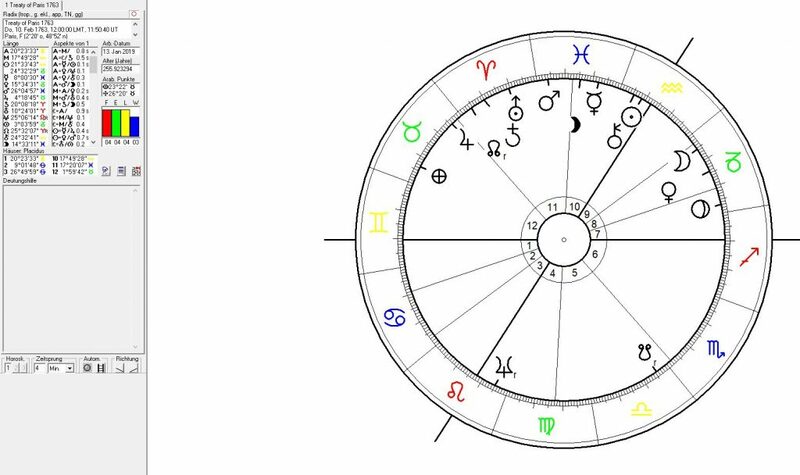 The proclamation was made less than 6 hours before the new moon in Cancer which occurred exactly conjunct Uranus the planet of self-finding, self-liberation and leaving the past behind. The Pluto transit between 19° and 23°Capricorn and in opposition to the 21°Cancer astrogeographical position of Ottawa began during the final stage of Uranus square transit from 19° to 23°Aries (Uranus return from the Hitler inauguration of 1933) between May 2015 and April 2017 and simultaneous to the inauguration of the neofascist Trump administration in Canadas big brother neighbour country in January 2017. This coincidence explains that an important part of the pressure from Plutos oppsition deal with Plutos role as the planet of ideology, pressure through patterns of role conduct, suppression of independence and of modernity (Cancer). 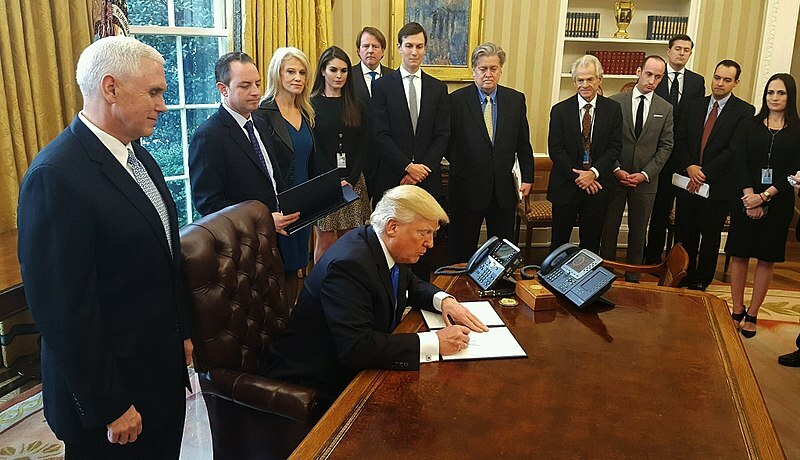 That brought the liberal, progressive canadian government under Justin Trudeau in conflict with the current US government and top US ally Saudi Arabia (“Why Saudi Arabia is waging diplomatic war on … Canada”). For Canada the Saturn-Pluto conjunction exactly opposite the capital and government can be expected to have its impact on all matters having to do with house 10 the house of self-responsibility, government and its institutions, the head of state, federal laws and territorial and emotional independence. The simultaneous opposition of Saturn and Pluto to the capital could if any bring positive effects mainly through exchange and coorperation with partners. That may seem the best and strongest plausible option for the optimal use of this transit. This is because the conjunction will occur in a harmonious and supporting sextile to the 2nd astrogeographical coordinate at 20°Pisces. The Saturn – Pluto conjunction of 2020 will take place just shortly before Neptune´s transit conjunct the astrogeographical resonance coordinate of Ottawa at 20° Pisces. Neptune because in his own sign through his exact trine to the 2nd astrogeographical coordinate at 20°Cancer can be expected as a stabilising aspect which provides justification and spiritual self-authorization rather than destabilization of Canadian political structures and economy. On the global resonance topics of the Saturn-Pluto conjunction from an astrogeographical point of view: the position of Uranus at 2°Taurus will be exactly conjunct the russian capital of Moscow suggesting the chance that the russian government in Moscow will attempt to make new alliances and other decisive steps to promote its global sphere of interest. Venus the sign ruler of Taurus will be at 28°Aquarius and conjunct the astrogeographical resonance degree of the french capital Parisindicating the option for a closer global cooperation with France and the EU. Other important resonance aspects can be expected from the resonance of the Saudia-Arab capital Riyadh (21°Leo) and North Korean capital Pyongyang (21°Leo too) with the position of the Moon on 17° in supercentralistic royal fire sign Leo. Another aspect that has to be mentioned here is the fact that the 17°Leo Moon position from the Saturn-Pluto conjunction of 2020 has the strongest resonance with the Mars-Pluto conjunction (15°-18°Leo) in house 7 of the natal chart of the People`s Republic of China indicating that 2020 will see a new climax in the aggressive expansion of China´s economy and political sphere of interest. This development will put strong pressure on Australian spehre of interest. The position of the North Node at 8°Cancer will fall right on the half sum between the resonance degrees of Washington (6°Cancer) and Berlin (10°Cancer) pointing at a rebirth of the US-EU relationships as a central motive and aim including also the option of a solution for the problems between the EU-US partnership and Moscow (11°Cancer). 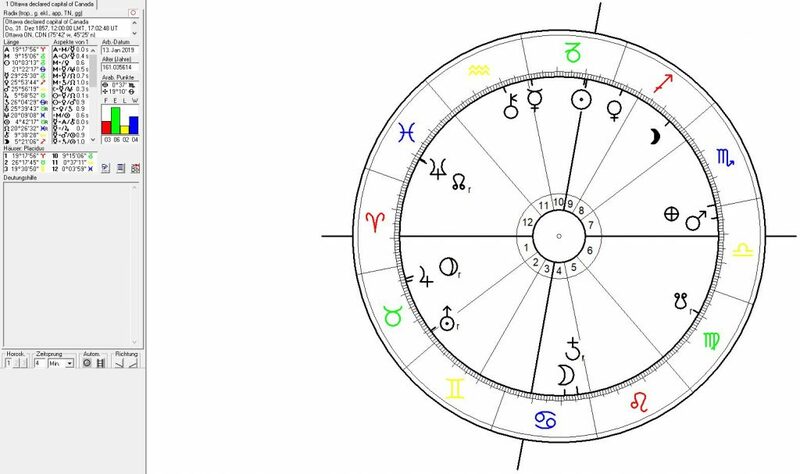 Astrological Birth chart of the capital status of Ottawa calculated for the day of the proclamation of Ottawa as the new capital by Queen Victoria on 31 December 1857 with Neptune at 20° PIS conjunct the North Node at 21°PIS and the Moon on 21° CAN all conjunct the resonance degrees of Ottawa. 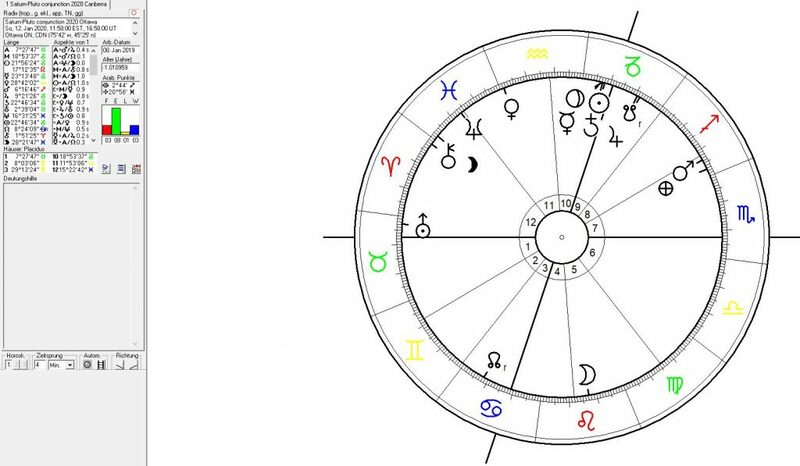 The chart is calculated for New Year´s Eve at 12:00 noon. Ottawa was declared capital of Canada during Neptunes last transit (March 1856 and March 1858) over the Citys astrogeographical resonance degree at 20° Pisces in Dec. 1857. This indicates that the Neptune return of 2020 can be expected as a “coming home” effect and one that could help in stabilizing Canadas democratic political institutions through moral and spiritual justification of the country`s rights and independence. Jacques Cartier (born Dec. 31, 1491) was a Breton explorer who claimed what is now Canada for France. 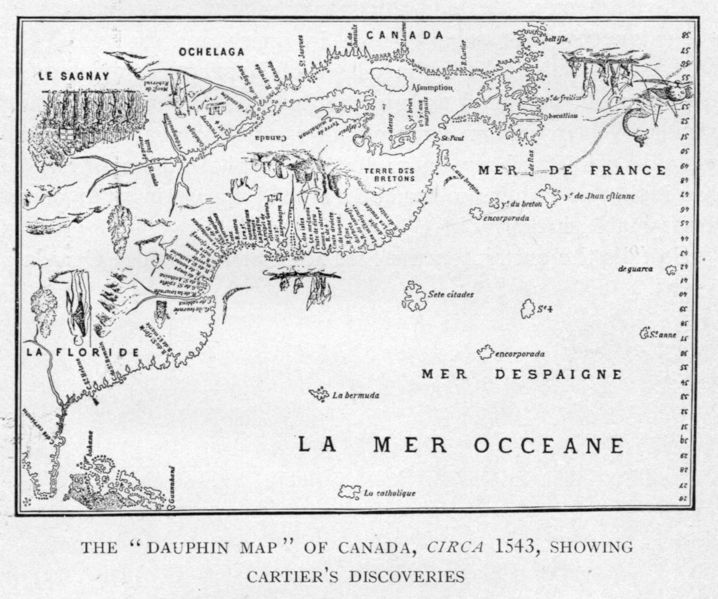 Cartier was the first European to describe and map[ the Gulf of Saint Lawrence and the shores of the Saint Lawrence River, which he named “The Country of Canadas”, after the Iroquois names for the two big settlements he saw at Stadacona (Quebec City)and at Hochelaga (Montreal Island). On 24 July 1534 Jaques Cartier claimed the territory of the Canadas for France by planting a 10 m tall cross bearing the words “Long Live the King of France”. 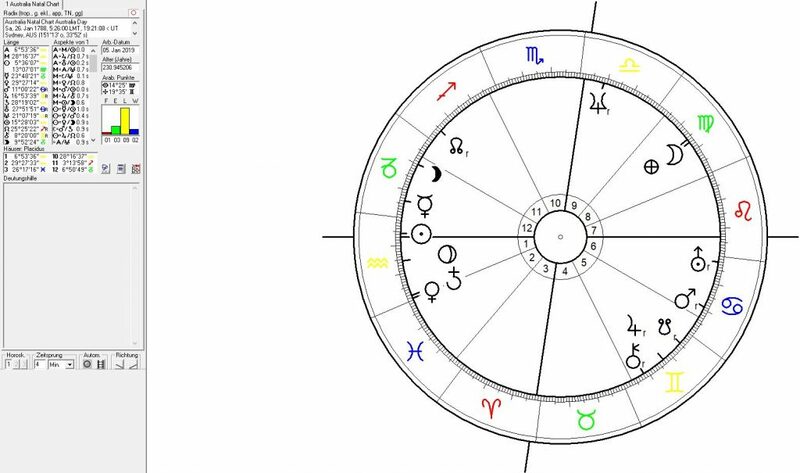 The Sun (king) – Saturn (cross) conjunction close to 0° of royal fire sign Leo the sign of the king and also the most important astrological resonator for french culture seems the perfect astrological parallel of ceremony. 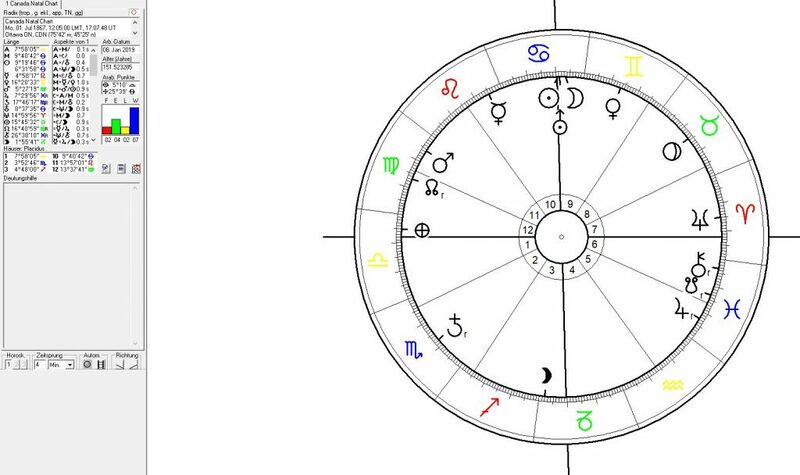 The colonial aggression of Jaques Cartier was carried out with a Mercury-Uranus conjunction between 18° and 20°Cancer and thus exactly conjunct the astrogeographical resonance degree of Ottawa. Uranus appears as the planet of changes, abstraction and awareness of a fuller perspective on the countrys potentials through the contact with globalization. The intensity of this planetary transit with the astrogeographical resonance degree of the capital is as overwhelming as in the case of the british colonialisation of Australia through Commander Arthur Phillip on 26 January 1788. Astrologically the only difference being that the french occupants seem to have been comparatively friendly with the local indigenous population through the conjunction with the 21°Cancer resonance degree of the future capital area of Canada whereas the british occupants were acting in opposition to the 5°Leo resonance (SUN at 5°Aquarius) and a simultaneous square (Neptune at 20°Libra) to the future capital area Canberra and the local indigenous population. 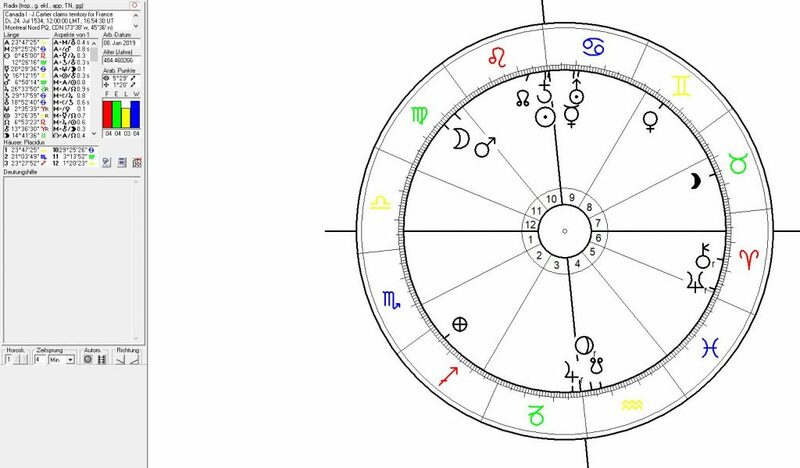 Australia Natal chart II: Astrological chart for the landing of the 1st British mission at Sydney Cove on 26 January 1788. 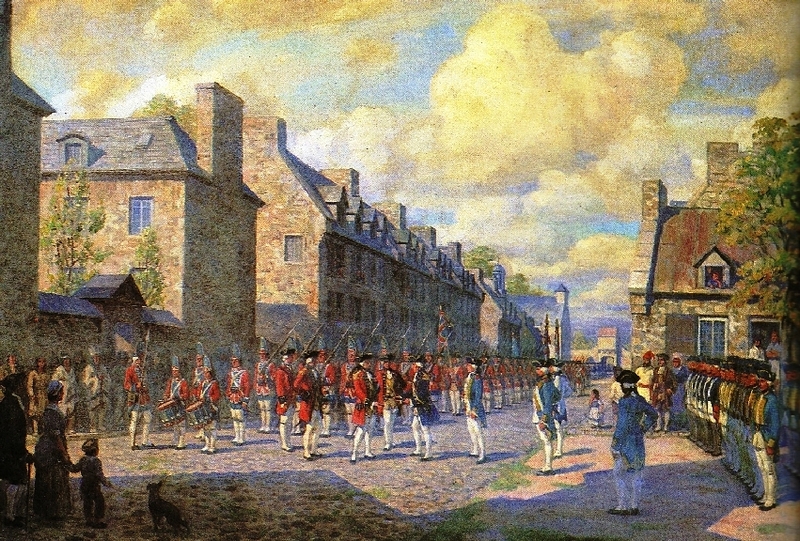 Canada transferred to Great Britain with Saturn square to Ottawa. Map of English and French positions in North America just before the beginning of the Seven Years’ War. After the British-Prussian victory over France, Spain and Austria during the Seven Years’ War France had to cede its canadian territories to the British in the Treaty of Paris which was signed on 10 February 1763 with Neptune at 25°Leo nearly exactly opposite the 27°Aquarius astrogeographical position of Paris. This Neptune Transit explains the treaty of Paris as a moment of heaviest losses of colonial territory and global political influence whereas the position of the Moon as the sign ruler of Ottawas 21°Cancer astrogeographical coordinate on the last degrees of Capricorn and conjunct London seems to reflect the British victory and their gain of the Canadian territories. During the Treaty of Paris Saturn was at 20°Aries the sign of warfare and in exact square to the 21°Cancer astrogeographical position of Ottawa. 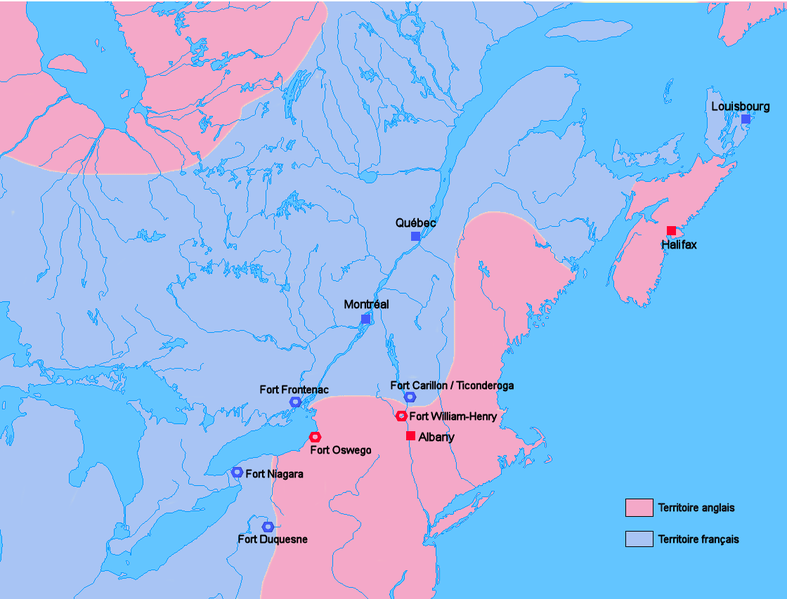 This aspect reflects the effective threat to the French rule over Canada and possibly also the support from the Iroquois Confederacy .